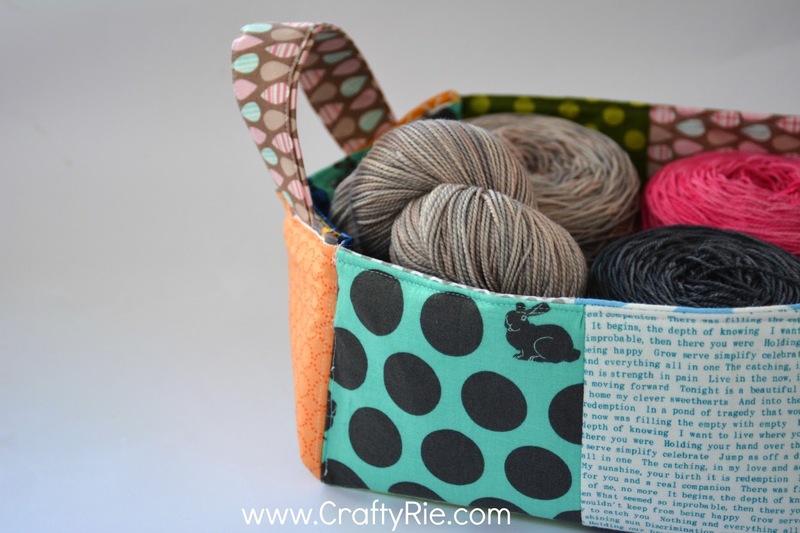 CraftyRie: Do you love my new basket? 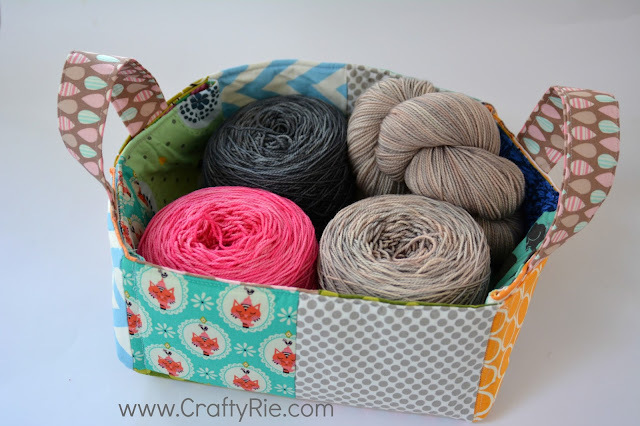 I'm a little chuffed with myself at the moment because I made this super cute basket! 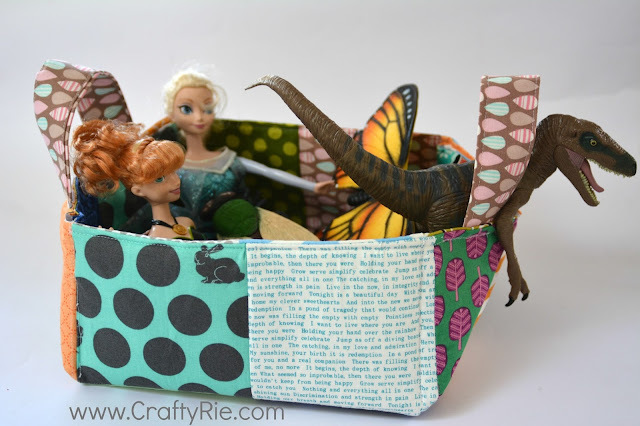 Have you ever made a basket before? I always thought they'd be hard to make but this one wasn't, in fact....... it was the easiest thing that I've made this year! 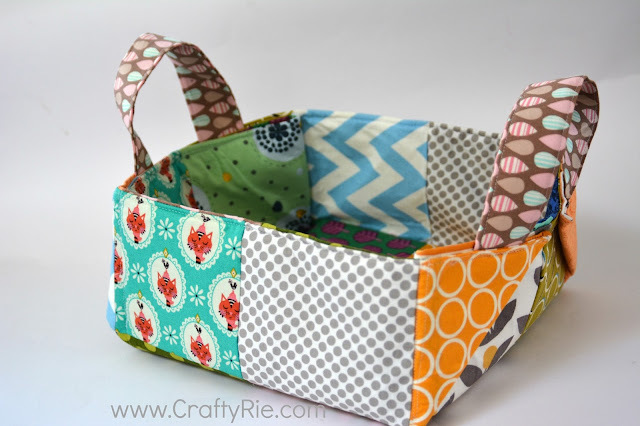 I made this basket using scraps that I cut with my new toy (see this blog post), I'm so pleased that I bought the cutter as I think I'm going to fly thru my fabric stash now! The basket was made from this pattern and it was so freakin' easy! I thought I'd stumble at some point (because I always do) but nope ...simple, easy and not forgetting that it was fun to make as well! As soon as I had finished it, Laney grabbed it from me and ran into the back room, apparently it was 'hers' now. ...so as soon as she went down for a nap, I stole my basket back and stuffed it yarn for my next knitty project!